Last year, home tech gave us the explosion of voice assistants from Amazon Alexa and Google Assistant. Modern Farmhouse design has surely become a country wide favorite, while bohemian and variations of transitional design remained strong. The use of gold/bronze accents are everywhere. However, we are always looking for the next design inspiration or latest technology to help improve our homes. In preparation for 2019, the Parker Gwen trend experts have compiled a list of the top 5 trends to expect this year. Electronics shouldn't only do great things, but they should look great doing it. As technology products become more integrated with our everyday life, tech companies our evolving designs and function to be more in tune with the trends of home design. Within in the last few years, Samsung developed and launched the Frame TV, which has become a favorite among interior designers. New features and developments of smart home devices are making them more popular, but the aesthetics are becoming just as important as they move into places in the home not normally utilizing tech products. 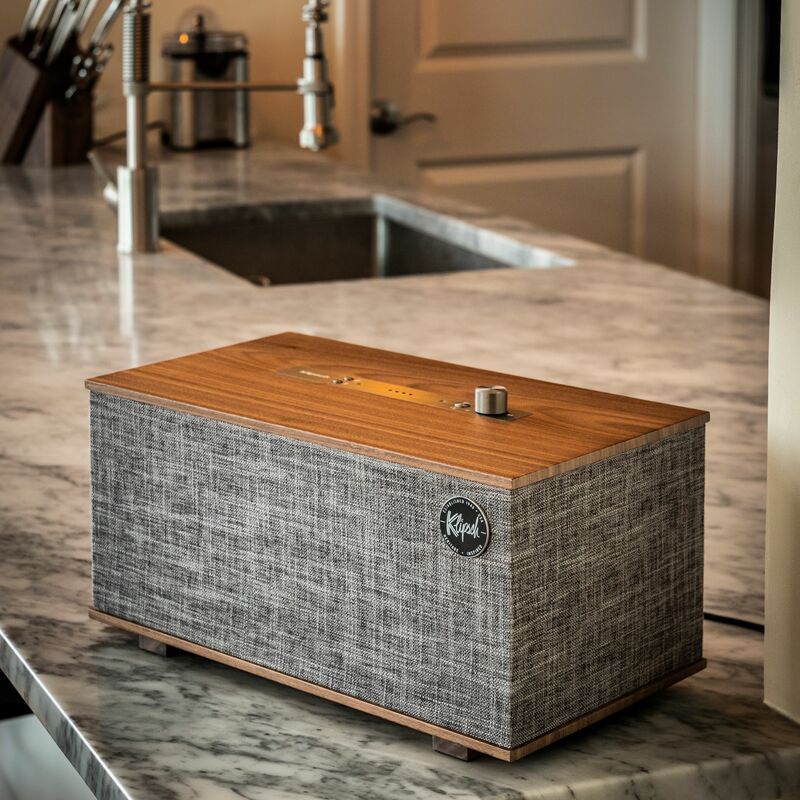 Some brands, like Klipsch have redesigned their products to look more like a piece of decor with on-trend fabrics and finishes. Klipsch Heritage Three with Google Assistant shown below. Velvet is back and better than ever. The soft, plush look and feel of velvet is hitting 2019 with a bang. We started to see this trend pick up over the last year or two, but now it is in the forefront. 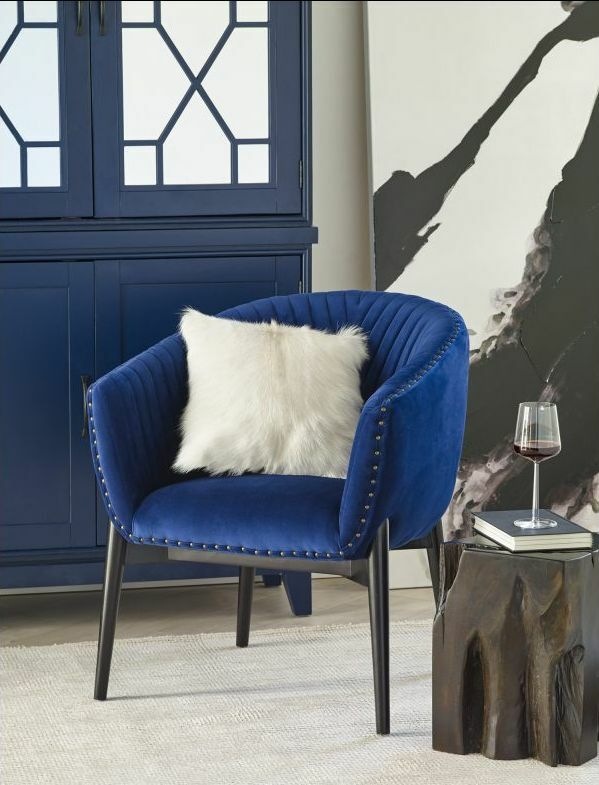 Beautifully used on a wide range of furniture pieces and styles, velvet is something to get excited about. We see velvet becoming a staple in many designs this year in hues of blue, green, orange, grey, and purple. 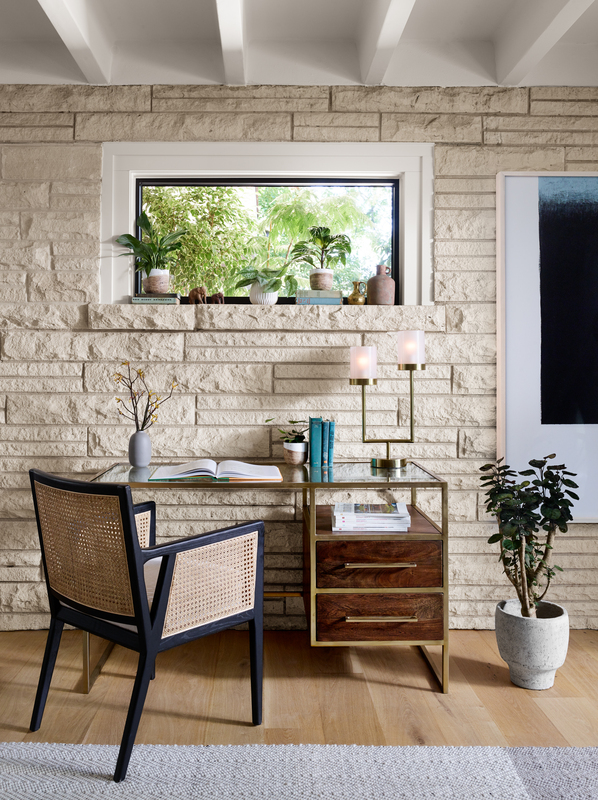 Kitchens, bathrooms, living rooms, and bedrooms beware, the home office is quietly becoming the new favorite to renovate. While typically shortchanged as a place to gather clutter and forgotten documents, the home office is on the rise as companies become more digital friendly and allowing their employees to work from home. Spending eight to twelve hours a day in an dull, cluttered home office can really put a damper on your mood. More and more are looking to make their home office a place to offer motivation and inspiration. 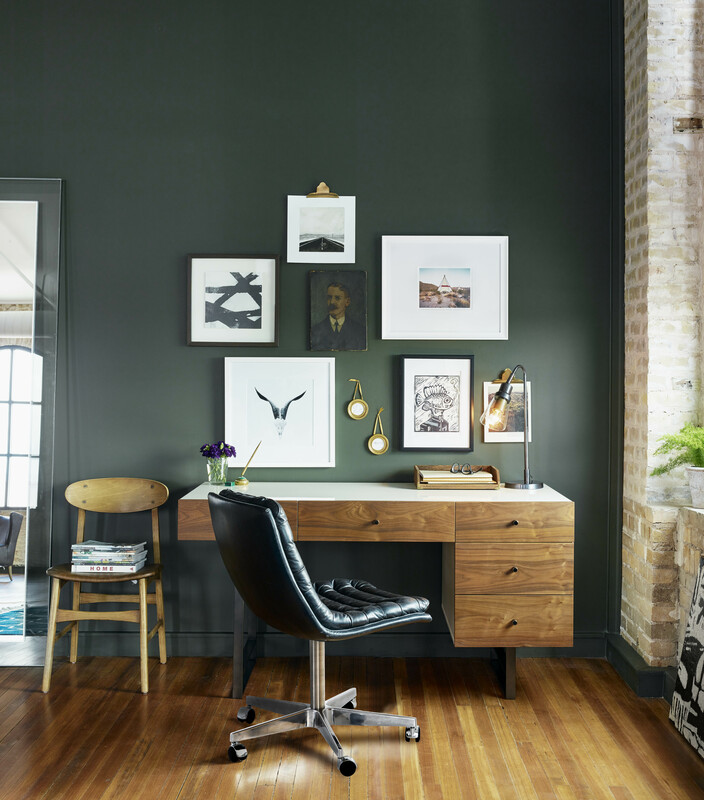 Office chairs and desks are becoming statements in the home. And the tech being utilized in an home office is now more than a laptop and printer. We can answer doors without getting up with the addition of a home monitoring system and voice assistants are helping us search topics and handle phone calls. As designers and home owners look to accomplish a unique statement, a tried and true technique is making a comeback. Shades of whites and grays are here to stay, but we are intrigued by the deep, rich colors being featured more frequently in interior designs. The use of color is showing up in wall colors, rugs, upholstered furniture, and even wood furniture. 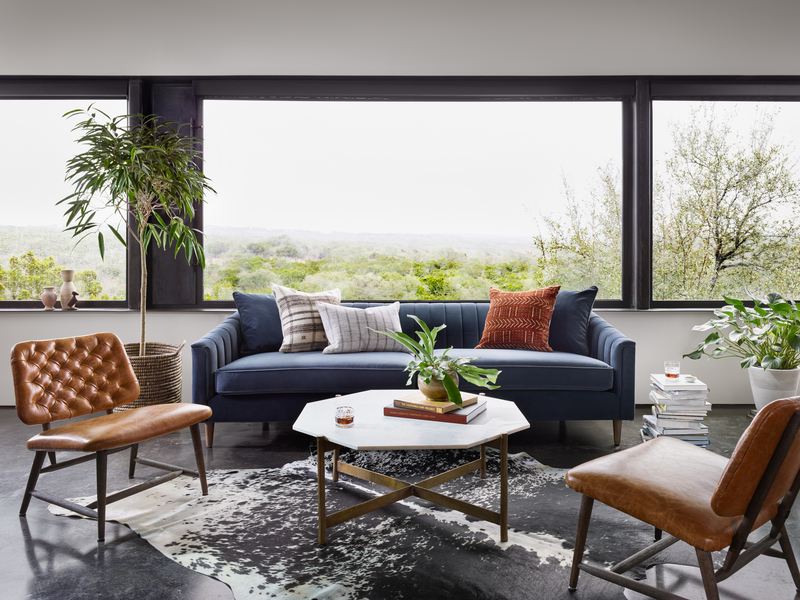 We are excited to see how this trend continues to build throughout the home. Cane wood furniture is the next adaptation of the nature indoors movement. Over the last several years, wicker, rattan, and grass materials have been moving into our homes. Now we are seeing a style in furniture that was popular during the 60's making a major comeback. Cane is being used across several different types of furniture. We are seeing it in chairs, tables, entertainment consoles, and bedroom furniture.